It was a proud moment on Friday when students and staff graduated at the University of Brighton's 2019 Winter Graduation Ceremony. 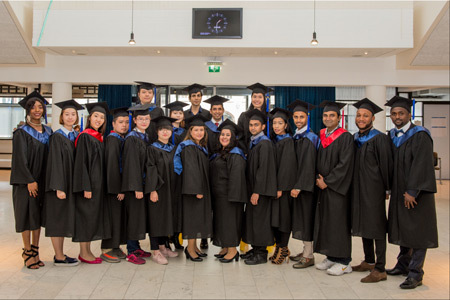 Universities are more inclusive than ever, transforming people from all backgrounds, lives and prospects, the vice-chancellor of the University of Brighton, Prof Chris Pole said, in a speech delivered at Wittenborg University of Applied Sciences' 2018 Summer Graduation Ceremony, which saw 44 graduates from 19 different countries receive their diplomas. 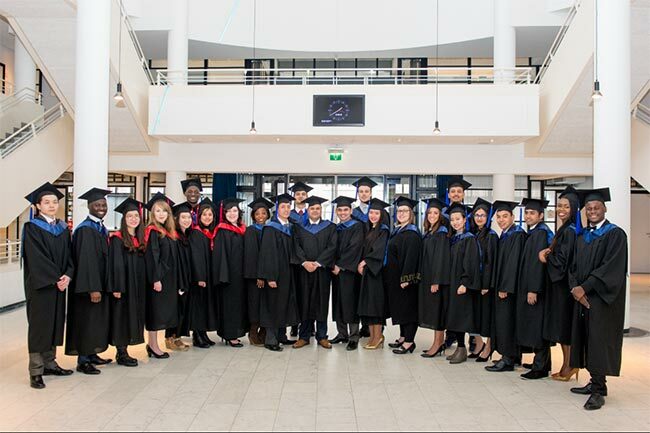 It is always a proud moment to hear of the successes of Wittenborg alumni – one of those is Dutch graduate, Raymon Driessen. Driessen graduated with an IBA in Entrepreneurship & Small Business from Wittenborg in February 2016 and has not looked back since. Currently, he is working as an assistant account manager at Dutch bank ABN AMRO – one of the best performing banks worldwide in terms of sustainability. He has also just graduated from the University of Brighton’s School of Business with an MSc in Management & Entrepreneurship. At Brighton’s recent 2018 Graduation Ceremony in the UK, Driessen caught up with Wittenborg’s chair of the executive board, Peter Birdsall, who was supporting Wittenborg MSc students as they received their diplomas from Brighton as part of a joint programme between the two institutions. Wittenborg's latest Master of Science graduates received their formal degrees on Friday at the University of Brighton's 2018 Winter Graduation Ceremony in the UK. Wittenborg offers its MSc programmes in conjunction with Brighton. Read more about All Students Welcome at Graduation Ceremony this Friday! Latest Wittenborg Graduates Urged to be "Ambassadors of Internationalism"
Read more about Latest Wittenborg Graduates Urged to be "Ambassadors of Internationalism"
At least 4 students of Wittenborg University who graduated on Friday are planning to continue their studies at some of the most highly ranked universities in the world this autumn.